Thanks to Bloggery Reader Edward for sending this Globe article to me. I'd read bits and pieces about this tv pilot, but I somehow missed the full article on it. SpikeTV was in town a couple of weeks ago filming a new tv pilot called "War in 04" in East Boston. 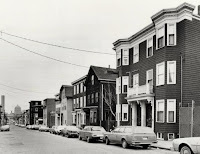 East Boston was used to fill in for Southie in certain scenes. When the locations manager came scouting, he could not find a consistently "dark and dingy" block in Southie anymore. So the film crews will descend on South Boston for just a few days this month and head to East Boston for the bulk of their work. "They said Eastie looks like Southie," said state Representative Brian P. Wallace, a South Boston Democrat. "I cracked up. Eastie's always been 15 years behind us, so that's no problem." 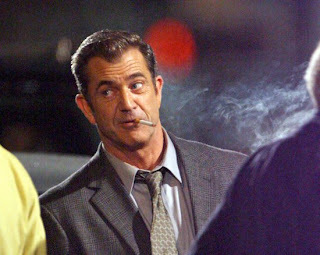 The SpikeTV pilot, with a working title of "War in '04," is based on the power struggle that ensues after a mob boss flees town under federal indictment. 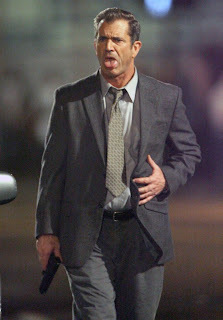 The central character, known as Madso, realizes that he is being set up. I don't have too many details on this shoot, maybe ya'll can fill in the gaps. I will keep an eye out though for an air date. Whoopsie daisy ... looks like the CEO of Boloco, John Pepper, found my post about their new restaurant opening at the corner of Boylston and Charles (here). For those of you that missed his comment, it was very well written and so I thought it deserved its own post. Ouch - not exactly the welcome crew we dream of when we open restaurants in our beloved Boston :) That said (and as I shared yesterday with another blogger also concerned about the character of this important corner), I understand and in most cases side with all of you on this topic... Costello's Liquor next to our offices further down on Boylston (Corner of Mass Ave) is now a T-Mobile... heart-breaking. To the first 20 people reading this (that's to cover me... i've made massively poor judgments in moments like these in past years), feel free to send me (pepper at boloco dot com) your Boloco Card # (or your mailing address if you don't have one) and i'll pop a freebie on there... it's the least we can do for including us in your posts. One day we at Boloco hope to earn our keep on that prominent corner - do remember in the meantime that Boloco is not just another Mexican burrito joint. Sure, we do sell traditional burritos, but that's just the beginning in terms of flavors and inspirations from around the world. We just happen to think the tortilla is the most efficient and yummiest way to transport all of those great ingredients - too often that gets us mixed up in the Mexican category - while Boloco sounds spanish, most of you know its not (it's short for Boston Local Co...for those still wondering). To Mr. Pepper - thanks for stopping by and leaving your thoughts. I'm sure everyone appreciates hearing from you. Not willing to wake up at 3am to get in line in the freezing cold for some of those upcoming Black Friday deals? Me either. Here's an alternative, use the Downtown Crossing Shopping Pass for discounts from 11/28 to 12/30. Take advantage of this program to explore all the district has to offer: from November 28th to December 30th simply show the pass at any participating business to receive a special holiday discount. Offers vary and certain restrictions apply: feel free to browse this site for discounts details. From an old favorite destination to the discovery of a new hidden gem, with over 140 participating businesses you are sure meet your holiday shopping needs and more. 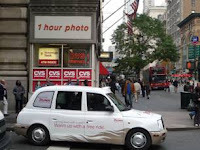 Click (here) to go to the Downtown Crossing site and check out all the discounts. PS. Thanks to Reader Randi and my friend Lisa for both sending me a link to the Shopping Pass. Thanks to reader Ryszard for letting me know about this. It's actually been a while since I've walked through the Prudential Center - trying to cut down on the spending. Apparently, Wagamama is going to open up a location in the Prudential Center. Wagamama is a restaurant chain serving pan-Asian food in the style of a modern noodle bar. 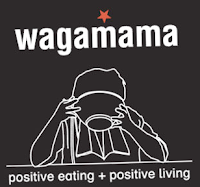 The first Wagamama opened in 1992 off Gower Street in Bloomsbury, London, which still exists today. 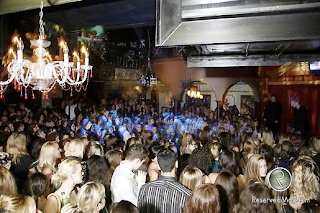 The chain now includes branches in London, Bristol, Leicester and across England, as well as in Scotland, Wales, Ireland, The Netherlands, Istanbul, Australia, Dubai, Belgium, New Zealand, Switzerland, Egypt and Copenhagen, and the United States (in Boston and Cambridge MA). The chain's website defines wagamama as "wilful / naughty child"; however, a more accurate translation of the Japanese adjective is selfish. Their trademarked slogan is: positive eating + positive living. The chain was created by Alan Yau, who also subsequently created the Chinese restaurants Hakkasan and Yauatcha in London. I usually eat at Qdoba when I goto to the Prudential Center, or occasionally Sakkio for their chicken teriyaki. But, once Wagamama opens, it might be worth a shot. I haven't been to either of the other Boston-area locations yet (Faneuil Hall & Harvard Sq). For those of you that have been there, how do you like it? Click (here) for a link to the Prudential Center site that says Wagamama is coming soon. Tis the season to do nice things for others. What better way than to attend a luncheon to help others while and partaking in some great food and some great football? 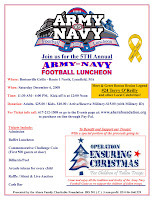 The Ahern family are currently getting ready for The Fifth Annual Army–Navy Football Luncheon put on by the Ahern Family Charitable Foundation Saturday, December 6 at The Bostonville Grille in Lynnfield, MA. The event will raise funds to support Operation Ensuring Christmas, a non-profit organization that provides financial, moral and rehabilitative support to the children of American soldiers who have been killed since September 11, 2001 in Iraq and Afghanistan. In addition to watching the 109th Annual Army-Navy football game, the event will include a buffet luncheon, a silent auction, a live auction and raffle. The luncheon begins at 11 am and the football game starts at 12 noon. Times are rough for everyone thanks to this global recession, but times are even tougher for children who lost a parent while serving our country. It's a Saturday afternoon - what else were you planning on doing? I've never actually been ice skating on Frog Pond. It's really closeby, but the opportunity has never really come up. I'm also pretty awful at ice skating, so that's probably kept me at bay as well. I bet it would make for a really cute date idea, though. Frog Pond opened up last week and will be open for public skating for the next several months. The Frog Pond Skating Rink is now open from November to mid-March with at least 100 days of seasonal skating. Whether you're practicing for a 9.9 at the Winter Olympics or simply trying to stand on two feet, the ice at the Frog Pond will always be accommodating. Maybe I'll give it a shot this year, check it off my list of Bostonian things to do, and also doublecheck if I even remember how to ice skate. It's been at least four years since I've been on the ice. Click (here) for the official Frog Pond website. I went to Boston Public once. It was in August of 2007 right after before it had opened. Chef Pino Maffeo was at the helm and I was invited to a friends and family preview event by the owners. Then, less then a year later - the restaurant closed (here). "I want it to match the look and feel of the store," says Orfaly, who is focused on the nitty-gritty of the business that renaming the eatery was very little priority... Thus, it's Restaurant L again. He plans on continuous food service to mirror the store's hours. 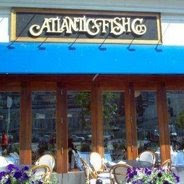 Orfaly describes the cuisine as "modern, eclectic" with "Malaysian, Vietnamese, French, and Italian" influences. Apparently, there was a lawsuit against Boston Public that probably contributed to the cafe area being closed for a while. I couldn't find too much about it, but here's what I could find in the archives. Boston Public had racked up $47,229 in unpaid state meals taxes, penalties and interest, and the lawsuit alleges that it failed to file tax returns or pay unemployment taxes and liquor vendors. No wonder it closed so abruptly. Maybe some money problems arose? Anyone know the whole story? Click (here) for a link to the Herald abstract regarding the lawsuit. Remember that whole "metrosexual" craze that took place a few years ago? It's died down a bit now, but I'm glad to see that the whole concept of high end men's grooming has stuck around. 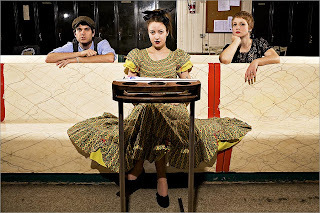 Did anyone check out the Barbershop Lounge back in July when I told you to (here)? Well if you didn't, I'm going to give you a 2nd chance. 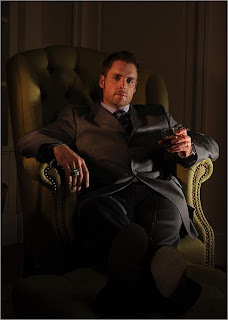 Barbershop Lounge is reminiscent of a private gentleman’s club, catering exclusively to fine men’s grooming. A comfortable and masculine urban retreat located on Boston’s fashionable Newbury Street, it offers the ultimate grooming experience. Guests can enjoy a complimentary beverage, shoot a game of pool or check the scores on any one of the flat screen TVs - everyone is a VIP. 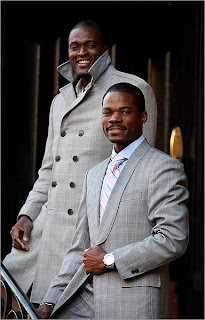 The highly-trained and professional staff is committed to providing guests with the ultimate in custom Barbershop Lounge-branded products and services to have men look and feel at the top of their game. I have in my possession a $50 gift card to the Barbershop Lounge that I am going to give away to one lucky reader. Same rules as always, all you need to do is subscribe to my blog via email or RSS and then send me an email with the subject titled "Barbershop Lounge" and your name and address in the body of the email. Contest runs until 11:59pm on Black Friday 11/27. I just spent the last five minutes reading through their list of services and I'm thinking massage. I'm long overdue for one. I've had a handful of massages in my lifetime and two facials. Massages are amazing, if you've never had one, I highly recommend it. Facials on the other hand are a different story. I had one that basically seemed like someone was washing my face for an hour (waste of time and money) and another where the lady went to town on my face with a lancet trying to unclog all my pores one at a time. That was a pretty painful experience. Click (here) to visit the Barbershop Lounge website. PS. Many thanks to Jarreau for providing the gift cards. The Farrelly brothers are working on the script for a new "Three Stooges" movie. According to the Globe, they're down on the Cape working on the script and plan do to some of the filming in Rhode Island. The Farrelly brothers are working frantically to finish the script for "The Three Stooges." Peter Farrelly reports that he and brother Bobby are holed up on the Cape until it's completed. "We've been working night and day," Farrelly told us during a beverage break at Scampo. The brothers are optimistic that at least some of the movie will be shot in their native Rhode Island, and it'll be in theaters this time next year. 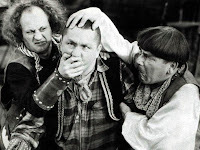 So who'll play the silly Stooges, you say? No one's signed on yet, but Peter said plenty of names are being bandied about. How about Benicio del Toro as Moe? "He's a huge Stooges fan," said Farrelly. Jeff Daniels is being considered for Larry and Andover's own Michael Chiklis could yuk it up as Curly. The Farrellys had been working on a movie called "Hall Pass," but that was shelved when they were given a deadline to deliver "The Three Stooges." Well let's hope that in addition to doing some of the filming in Rhode Island that they end up doing some in Boston as well. Fingers crossed. I like Ben Mezrich's books. They're quick reads and fairly entertaining. Although the recent one about the HBS guy and the oil industry - I forget the name - that one wasn't so great. Anyhoo, word on the street is that Ben's wife Tonya is getting a new tv show. Best-selling author Ben Mezrich's better half is embarking with a few friends on a new TV show. We're told Tonya Chen Mezrich is teaming with former Boston Common staffers Terri Stanley and Anna Cheshire Levitan on a 30-minute show titled "STYLE Boston." No one's willing to talk about it yet, but word is the weekly show will focus on Boston's hottest trends, hippest people, and most happening parties - a high-end version, in other words, of Billy Fairweather's lively "Dirty Water TV" show. I haven't heard of Dirty Water TV, but after I just googled it it looks fairly interesting. I may have to start dvr'ing it. As you know, I love hearing about whats going on in Boston. Click (here) for the Globe Blurb about Style Boston. 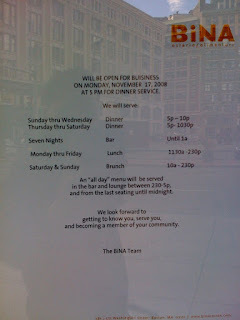 It's nice to see that Tom and Gisele share my love of Barbara Lynch's restaurants (along with the rest of Boston). Although I would have gone across the street to B&G Oysters instead. I'm overdue for a visit to B&G, will need to make a trip over there soon. For a guy who HATES putting his personal life in the public eye, Tom Brady was especially touchy-feely-suckey-facey with Gisele last night. FOX25 in Boston caught the two gettin' all lovey-dovey during a double date with fellow Patriot Larry Izzo at "The Butcher Shop" restaurant in Boston. Click (here) to see watch the video. There's all these famous houses in Boston. Paul Revere's House, Edgar Allen Poe's House, and a bunch of other really historical people, but what do some folks come to see? Jonathan and Jordan Knight's house. You know who would be all over this? My cousin. She was a big NKOTB fan back in the day. And maybe she still is, I haven't talked to her in a while. Click (here) to see more pictures of the house. I read over the past couple of weeks that a couple of notable restaurants (when I say notable I mean restaurants that I've eaten at before) will be closing down. First off, Brown Sugar Cafe in Fenway (129 Jersey St) will be closing possibly before the end of the year. That's too bad. I really like Brown Sugar Cafe, it's probably my favorite place for thai food in the city. But then again I usually go to their location on Comm Ave.
Lastly, you know that TGI Friday's on Newbury that's been closed for many, many years? Well Back Bay Restaurant Group has a 20 year lease on it and it's rumored that they might move Joe's there or possibly move Papa Razzi over there. Want to live like Jack and Suzy Welch? Break out your wallet. The grand Greek Revival on Beacon Street that has been the couple's crib for the past several years is on the market, and the asking price is a cool $27.5 million. The building at 40 Beacon St., known as the Appleton-Parker House, is actually owned by developer James Pappas, who declined to speak with us yesterday. He may be selling now because Jack and Suzy are leaving town. "As long planned, with the last of our kids going off to school next September, we're moving to New York, where we already have a home and where our work is," Suzy Welch wrote in reply to an e-mail yesterday. "We love Boston and will visit often." 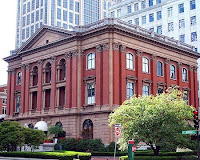 The building, formerly home to the Women's City Club and listed since 1978 on the National Register of Historic Places, has 12 bedrooms, breathtaking views, and a three-car garage. Although it's been a single-family residence of late, the 18,000-square-foot building is zoned for four condos. 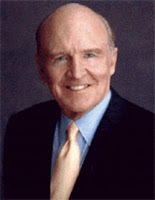 Jack Welch, the legendary former CEO of GE, met Suzy Wetlaufer in 2001 when she was editor of the Harvard Business Review. They married three years later. 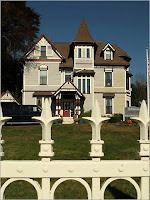 The couple has written two books together and dispense words of wisdom at www.welchway.com. I'm sure I've walked past it before. I have a friend who lives in the vicinity on the 20ish block of Beacon. I'll hafta go check it out again though, now that I know that's where Jack Welch used to live. PS. I like how the Globe started out their piece with the words "break out your wallet." If I were to break out my wallet, I'd still owe the bank ~$27.4999 million dollars. I don't really know fashion too well, but are the 80's coming back? Stuff@Night had an 80's prom party a couple of weeks ago (here) and now Gisele is in the latest issue of Elle modeling "80's inspired rocker looks." If the 80's really are making a comeback, maybe I can rummage through my closet back home when I'm there for Christmas and see if I can find my Girbauds and my Hypercolor T shirts. Click (here) to go to the Elle site and see what exactly Gisele is wearing. 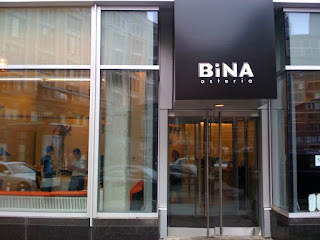 Also on my walk through downtown, I passed by Bina Osteria and Bina Alimentari (near the Ritz) several times (here). It looked like they were trying to open this past weekend, but as of this Sunday morning, there was a new sign up saying that they wouldn't open until Today - Monday 11/17. 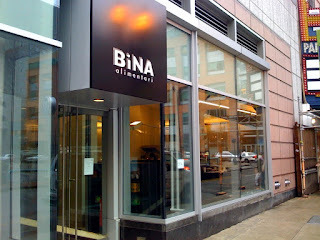 I'm pretty excited for Bina Alimentari. We could use a European grocery store in the area. I can get great breads from the North End, but I hadn't found any places for cheeses. When I lived in the South End, I'd go to Lionette's all the time to get my cheeses and pates. Hopefully this new place can take it's place. I could go for some nice robiola cheese right about now. I had an awesome weekend, hope everyone else did as well - can you believe how warm it was? 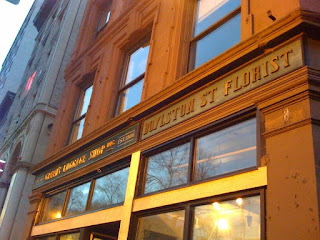 I spent Saturday afternoon wandering around downtown and saw that the old Green's Luggage Shop & Boylston Street Florist (which has been closed for a little while now) is now being renovated. Into what you ask? Take a look. I have to admit. I'm a little disappointed. 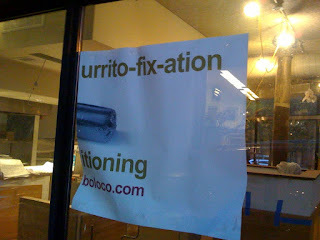 Another Boloco? There's already one on Newbury St. If it had to be a burrito place, I would have preferred a Chipotle? Oh well. It's on the corner of Boylston and Charles St for those that aren't too familiar with the area. 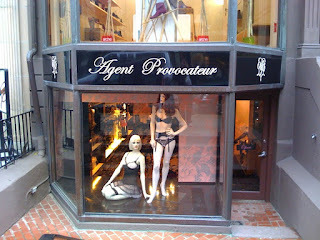 Back in September, it was still a work in progress, but looks like Agent Provocateur is now open for business on Newbury St (here). Looks like the latest film site for Edge of Darkness was in the South End. This little blurb was from the Globe on Tuesday, 11/11. 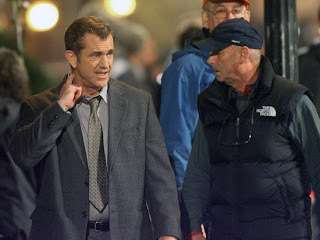 Why was Mel Gibson brandishing a Glock outside the Cathedral of the Holy Cross the other night? That's his job. In "Edge of Darkness," the Aussie actor plays a Boston homicide detective, and that means he's packing. We're told this scene, at the corner of Washington and Waltham streets, attracted a few gawkers. I hope it was a pre-ban Glock. Us folks in MA aren't allowed to have Glocks that weren't already in the state prior to 1998. Talk about coincidences. 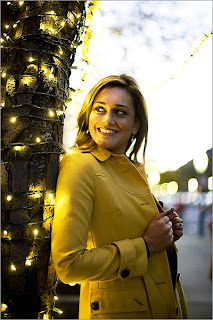 So, two days ago the founder of a new startup in Boston called RUNmyErrand sent me an email to check out her new site. I did and I thought that it was a great idea. Boston has an abundance of both broke college students as well as people too busy to do their own errands. How else would you explain the success of Peapod, the grocery delivery service (here)? People just don't have the time - me included. So here's where the coincidence comes in. Last night, my roomate says to me "Dude, do you think you could do me a favor sometime this week and help me pick up my dry cleaning? The place closes at 6pm and I'm not going to get out of work by then any time soon." My roommate is a doctor, works ungodly hours, and is clearly way too busy saving lives to pick up dry cleaning. He'd be a perfect candidate for RUNmyERRAND. For all you other busy folk out there - doctors, lawyers, finance people trying to stop losing zillions of dollars in the stock market - I highly recommend that you check out this new site. It could save you some valuable time. Click (here) to check out the site for yourself. PS. 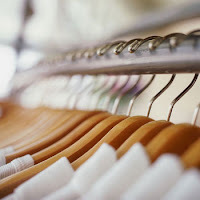 To my roomate, according to the site, the going rate for picking up dry cleaning is $5. You owe me $5. I'd like it paid out in beer.